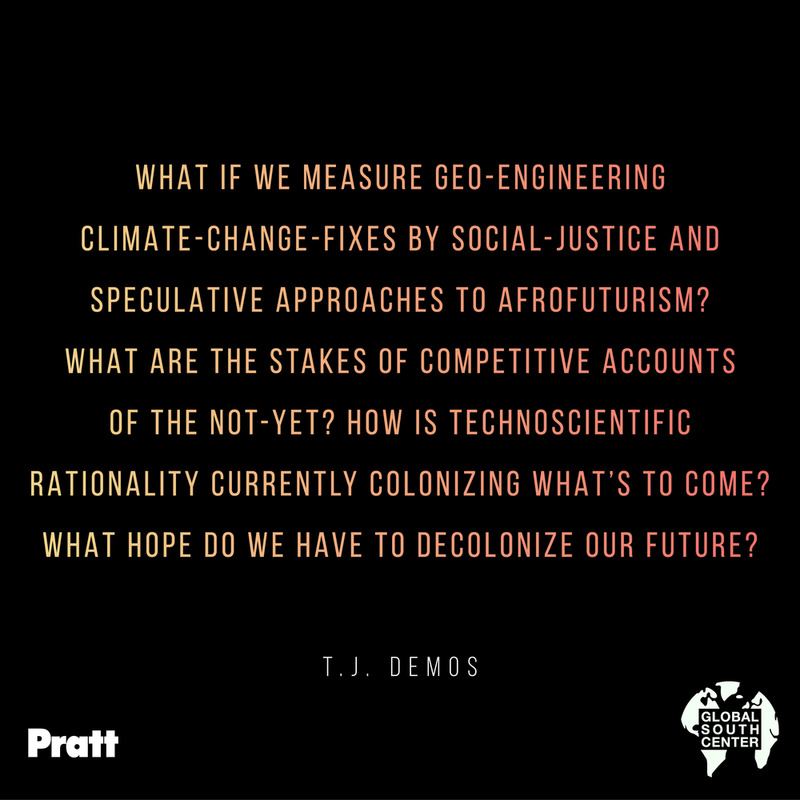 What if we measure geo-engineering climate-change-fixes by social-justice and speculative approaches to Afrofuturism, especially 2.0 and recent “mundane” versions? 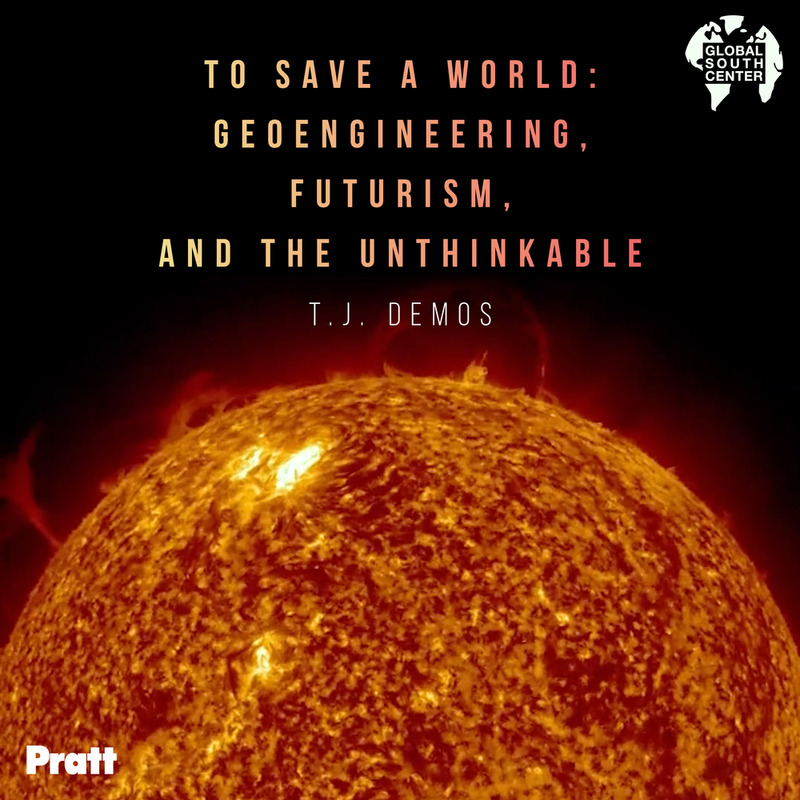 What are the stakes of competitive accounts of the not-yet, and how is technoscientific rationality currently colonizing what’s to come? What hope to decolonize our future? This presentation will draw unlikely comparisons between the politics and aesthetics of contemporary art--namely Arthur Jafa’s Love is the Message, the Message is Death--and what’s emerging as the Neoliberal Anthropocene, premised on dangerous global technofixes funded by Silicon Valley capital. 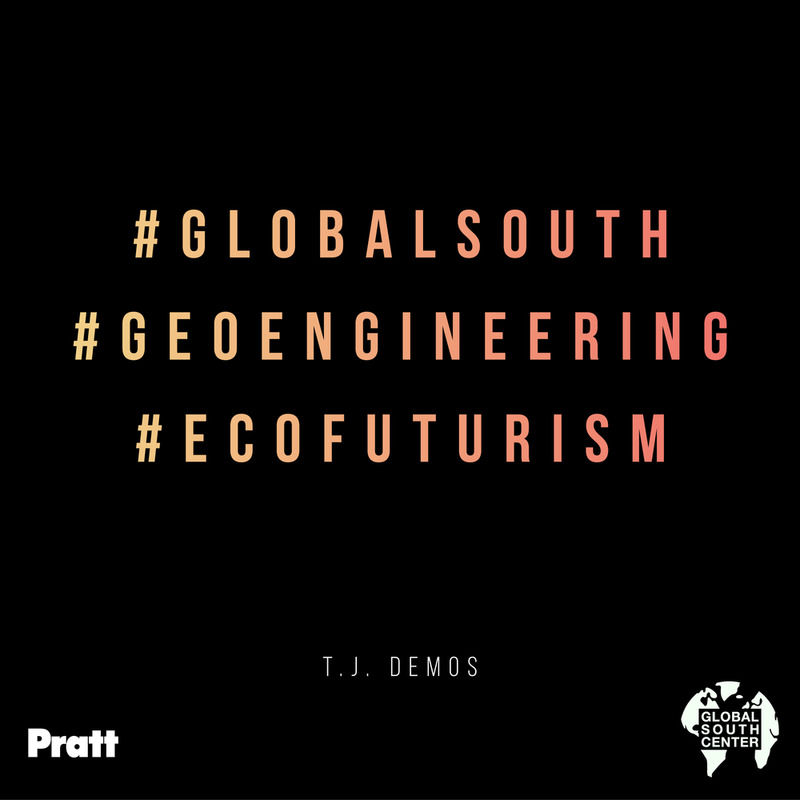 The goal is to make a double proposal: for a social-justice-attuned environmentalism and an ecologically-minded antiracism at the intersection of experimental cultural practice and corporate science. California, Santa Cruz, and Founder and Director of its Center for Creative Ecologies. He writes widely on the intersection of contemporary art, global politics, and ecology and is the author of numerous books, including Decolonizing Nature: Contemporary Art and Political Ecology (Sternberg Press, 2016), Against the Anthropocene: Visual Culture and Environment Today, (Sternberg Press, 2017), and The Migrant Image: The Art and Politics of Documentary During Global Crisis (Duke University Press, 2013)—winner of the College Art Association’s 2014 Frank Jewett Mather Award.